ne day when I was a kid, me and some siblings were weeding in the garden when my grandpa stopped by. He asked us why we weren’t eating the weeds that we were pulling out. We looked at him like he was crazy and he continued, pointing to a particular weed and claiming it was delicious. After we watched him eat some, we tentatively tried it and found it was alright. 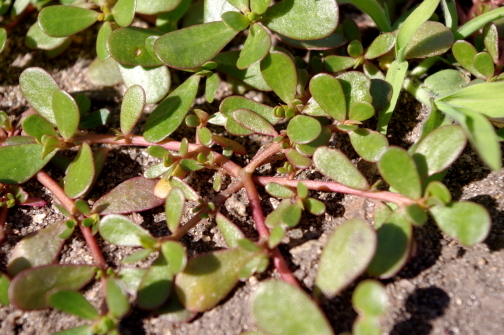 At some later point I looked up the succulent’s name which turned out to be purslane, and occasionally nibbled on a little bit when I was in the garden. Grandpa says where he comes from they call this plant Creeping Jenny. I swear I used to pull that out of our sidewalks growing up all the time, huh learned something new today.